JD and I love noodles so we thought we'd try recreating our own Wagamama meal. 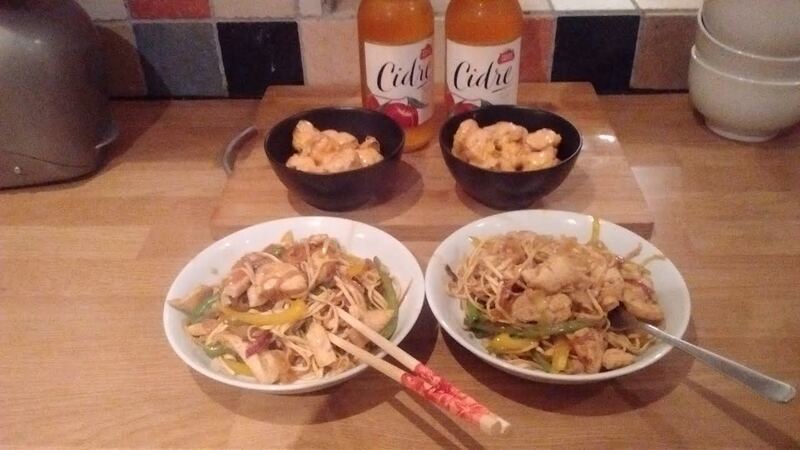 The kids were away at their Dad's for the night so this is an ideal meal for just the two of us. We looked at their menu and picked out the following meal. Bang Bang Cauliflower - crispy, wok-fried cauliflower coated in a firecracker sauce. Chicken Teppanyaki - teppanyaki is a big plate of sizzling noodles, stir-fried quickly in a hot pan. This means you get soft noodles and crunchy vegetables. 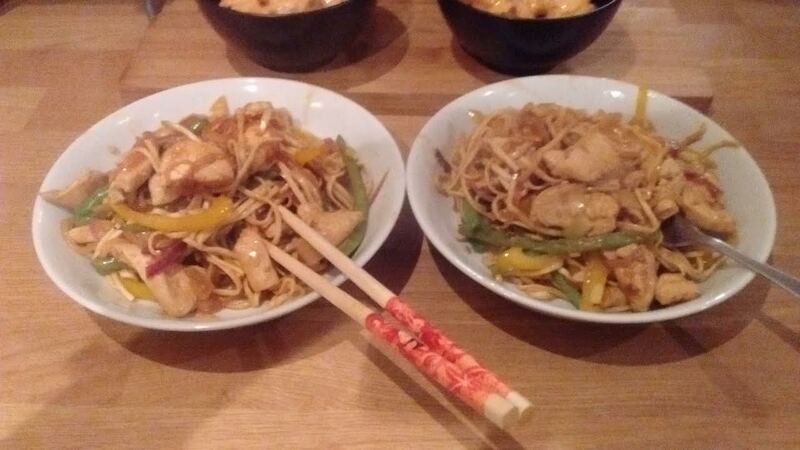 This would have cost us £37.90 at Wagamama, which isn't terrible for a meal out for two. But we can do much better! 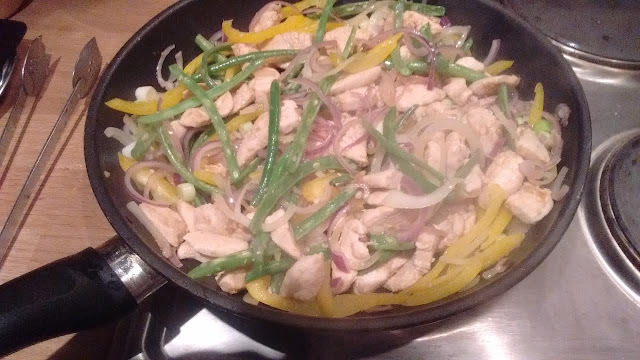 JD likes stir-frying food so this was a nice one for him to cook. I made our version of the Bang Bang cauliflower and our local corner shop provided the ciders. It all tasted great and there was enough for a second bowl of noodles each. Our version had much more chicken per portion, we were really pleased with how the food worked out. Oh my god. This looks so good and there is no recipe!! GAAH! What kind of noodles? Stir fried in what sort of sauce? Crispy cawliflower? How do you make that? Jesus. You're killing me here Emma. Ha ha ha.